You won’t want to miss the newest show from Disney on Ice presents Dare to Dream! 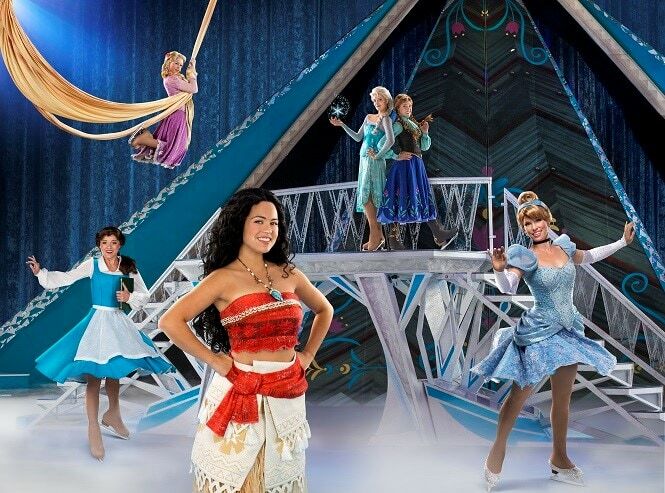 Included in this new show is Moana’s first performance on the ice! Thank you to Feld Family Entertainment for sponsoring this post. 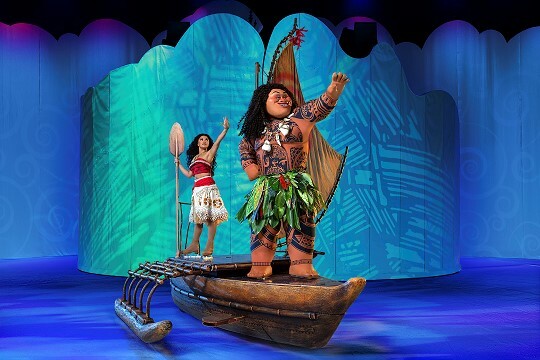 In her Disney On Ice debut, see how far Moana will go in a high-seas adventure with demigod Maui, to save her island and discover her true identity. Join Belle as she fearlessly befriends the enchanted castle staff and reveals the Beast’s gentleness. Experience Anna’s devotion to her sister, Elsa, on her life-changing journey to stop an eternal winter. Explore with Rapunzel, Flynn Ryder, Cinderella and friends from around the Disney Kingdom as they find the heart and determination to overcome obstacles and make their dreams come true. We love Disney on Ice and are excited to check out Golden 1 Center this year. In the past, we took the kids to the Oracle Arena and it was an awesome show. We are most excited about the debut of Moana. All three of my kids love Moana and sing along to all of the songs. I am even known for singing the “You’re welcome” song on a daily basis to my family. My husband might think I’m a dork, but my kids love it. Make sure you arrive early so you can catch a special sing-along with Miguel from Coco!! Also, keep your eyes on the princesses because you might see double. There are twin sisters in the cast (Hint: It’s the debut princess and a special sister)! You can catch the show at the Stockton Arena from February 7-10, 2019 and at the Golden One Center in Sacramento from February 14-18, 2019. Ticket prices start at just $20 each. There are also some special $10 deals on opening night tickets – not including VIP/Front Row Premium. You can purchase tickets online at Ticketmaster.com, by phone at 800-745-3000 or visit the venue Box Office. Stay tuned for a review post of Disney on Ice Presents Dare to Dream after we check out the show in February!